Hours before his top 3-year-old colts were to kick off their seasons in the Rebel Stakes (G2), trainer Bob Baffert mentioned hopes that they'd still be 1-2 come Monday morning. That held true in Week 4 of the 2019 Kentucky Derby Media Poll as Game Winner led Improbable atop the rankings even after both suffered their first career defeats in split divisions at Oaklawn Park. Assembled by HorseRacingNation.com and released each Monday leading up to the May 4 race at Churchill Downs, the Kentucky Derby Media Poll's voting panel features representatives of the Daily Racing Form, BloodHorse and Thoroughbred Daily News, among other racing industry trade publications and general news outlets. While the Top 2 remained the same as in previous weeks, first-place votes and overall points distributed more evenly than before the big horses went down. Improbable came up a neck short in the Rebel's first flight before Game Winner battled to be a nose behind in the second division. Rounding out this week's Top 5 are Saturday's Louisiana Derby (G2) favorite, War of Will; Omaha Beach, who beat Game Winner; and Code of Honor, the recent Fountain of Youth Stakes (G2) hero. Long Range Toddy, who defeated Improbable, made the biggest jump of any horse, going from unranked last week to No. 6. Bourbon War, Sunday's Sunland Derby (G3) favorite Mucho Gusto, Tacitus and Hidden Scroll are also in the Top 10. Voters differed in expressing how much they really learned from the Rebel Stakes. 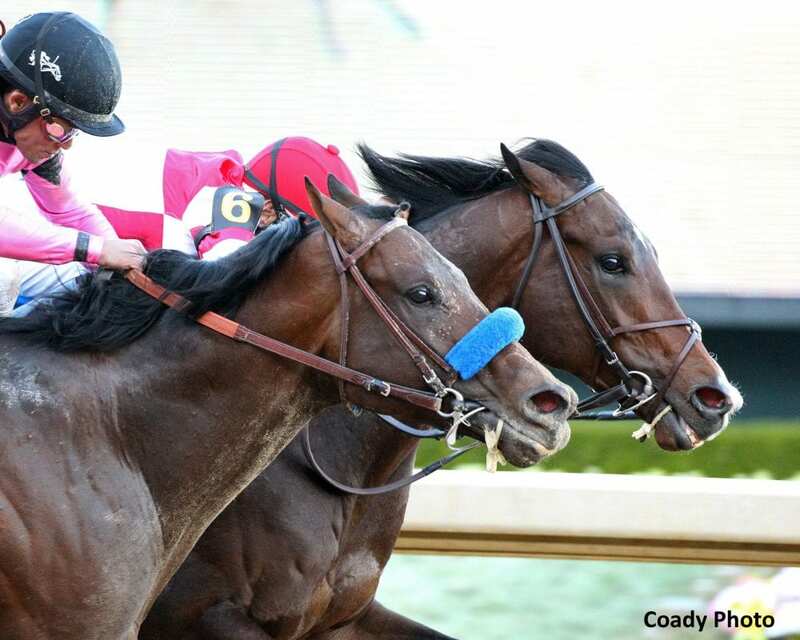 Between the two Baffert horses, which colt looks better moving forward? Is Long Range Toddy of the same class as them, or did jockey Jon Court's cunning tactics help him overachieve Saturday? And is Omaha Beach the real deal? “Now we separate the men from the boys stretching out to 1 1/8 miles in the Louisiana Derby and Sunland Derby this weekend,” said Racing Dudes' Mike Spector. Fair Grounds' Louisiana Derby pays out Derby qualifying points on a 100-40-20-10 scale to the Top 4, likely sending its first two finishers on to Churchill Downs. War of Will gets a Risen Star (G2) rematch with Country House, ranked 11th this week. Sunland Park's Sunland Derby is a 50-20-10-5 race led by Mucho Gusto. Anothertwistafate, 21st by votes, is among his top challengers exiting an open-lengths win on synthetic in the El Camino Real Derby (G3). Next 10 receiving votes: Anothertwistafate, Outshine, Gunmetal Gray, Signalman, Spinoff, Somelikeithotbrown, Much Better, Mucho, Nolo Contesto, Alwaysmining. This entry was posted in Triple Crown and tagged Code of Honor, game winner, improbable, Kentucky Derby 2019, Kentucky Derby Media Poll, omaha beach, Road to Kentucky Derby, war of will by Press Release. Bookmark the permalink.